Validate security investments and process changes by measuring trends in your organization’s security incidents and root causes, and identify where to focus further security improvements. 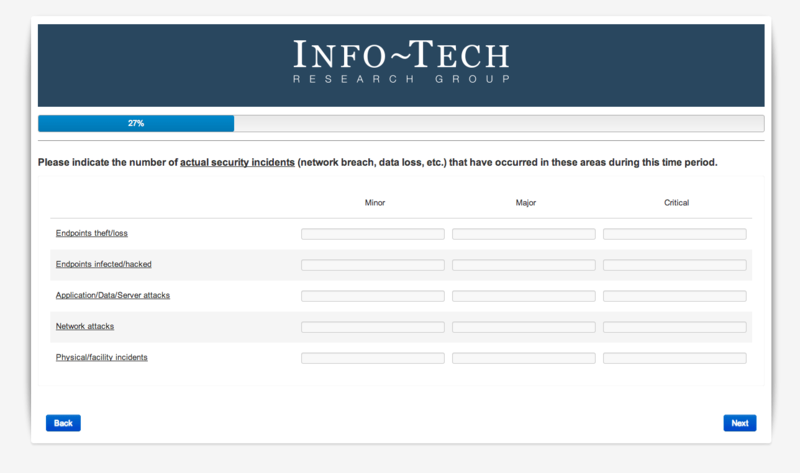 Identify security areas and root causes that are your top problem areas to guide your security strategy. Provide a more granular analysis per security area. For example, if phishing/malware is a top incident area and the top root cause is people, the issue is likely training and education rather than a failure of your anti-malware product. Balance your assessment of past incidents with future risks. For example, if the use of mobile devices is increasing, the potential security risks for those devices need to be on your radar even if this has been a non-issue previously. Measure incident and root cause trends over time to assess the impact of security changes (e.g., process improvements) or vulnerabilities (e.g., an increase in mobility).